Renew is a national, not-for-profit organisation that inspires, enables and advocates for people to live sustainably in their homes and communities. 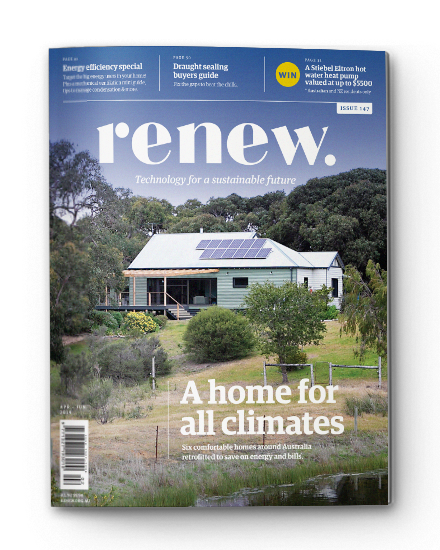 Renew (formerly known as Alternative Technology Association) is a national, not-for-profit organisation that inspires, enables and advocates for people to live sustainably in their homes and communities. Established in 1980, Renew provides expert, independent advice on sustainable solutions for the home to households, government and industry. We have helped thousands of households save money and reduce their environmental footprint with information on energy efficiency, solar power, rainwater tanks, materials reuse and waste. Renew engages with more than 250,000 people each year around Australia and beyond. We work with more than 6700 members in a network of 14 active branches throughout the country. Our community of climate change action includes readers of our two market-leading sustainability magazines ReNew and Sanctuary, attendants at our Speed Date a Sustainability Expert, EV Expo and Sustainable House Day events, users of our online information and calculators, people contacting our advice service, and our research and advocacy partners. Renew advocates in government and industry arenas for easy access to sustainable solutions as well as continual improvement of the technology, information and products needed to change the way we live. Renew also provides consultancy services based on our technical expertise in energy, water and communications. Renew acknowledges the Australian Aboriginal and Torres Strait Islander people of this nation. We acknowledge the traditional custodians of the lands on which our organisation is located and where we conduct our work. We pay our respects to ancestors and elders, past and present. Renew is committed to honouring Australian Aboriginal and Torres Strait Islander people’s unique cultural and spiritual relationships to the land, water and sea and their rich contribution to society. 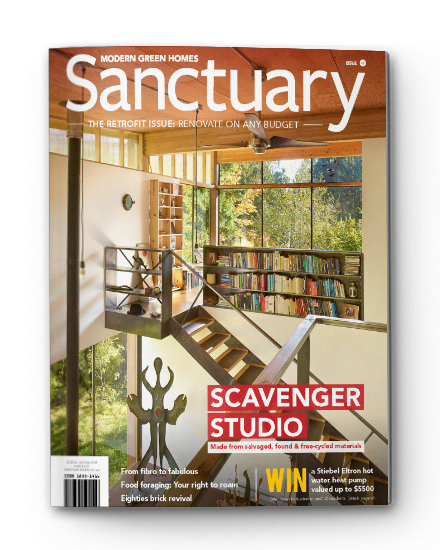 Hear about our impact and achievements for 2017/18 to inspire, enable and advocate for people to live sustainably in their homes and communities. Our Strategy Framework 2025 sets out our vision and plan to expand our reach and impact to make sustainable living affordable and accessible to all Australians. Renew formerly known as Alternative Technology Association, is a registered charity with the Australian Charities and Not-for-profit Commission. We are also endorsed as a Deductible Gift Recipient (DGR) and as a Tax Concession Charity (TCC). Alternative Technology Association trading as Renew is an Incorporated Association under the Victorian Associations Incorporation Act 1981. Our ABN is 57 533 056 318.